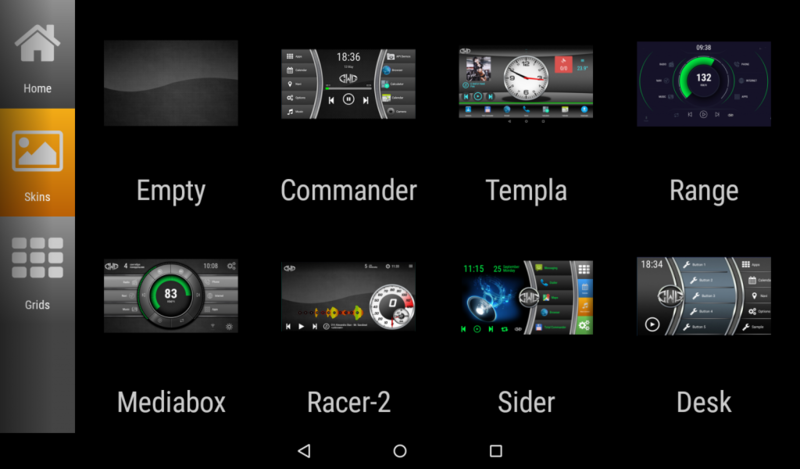 If you are a happy owner of the android radio, you will soon want to change the look of the desktop. Of course, you can change the firmware, change the system resources … But this can lead to breakdown and deny the warranty. There is an easier way to do this. 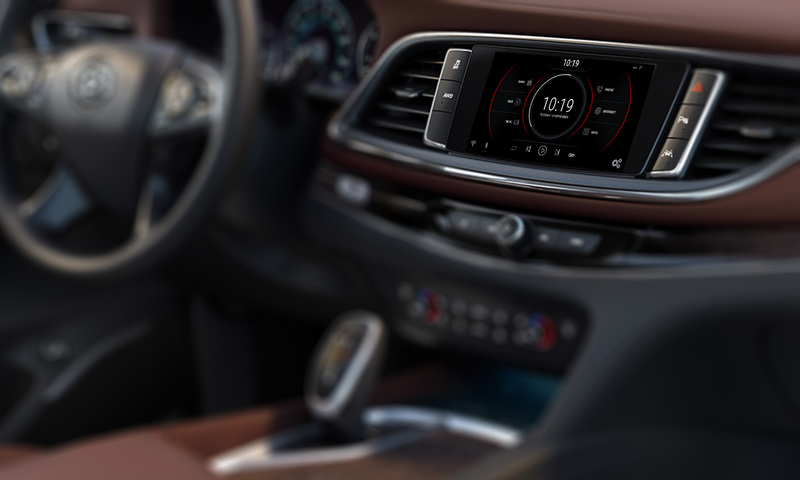 We suggest installing the program CarWebGuru, which is a launcher, designed specifically for the car head units (android car radio). One of the main functions is to support a large number of themes. When installing the program, you will be asked to select the main screen theme. Then you can change it or add a new desktop with a different theme. The program can have several desktops and for each you can install a separate theme. So if you like several themes, then you can use them at the same time. Also, different themes can be used for different purposes – one at night, the other for day. One screen for parking, another for a trip. No restrictions. Set up exactly as it is for you! You can change the theme from the TOOLS window (swipe down), then the “Change theme” (Set Skin) button. You can support the development of the project by a small amount. Make a short review on Facebook, Youtube or Instagram – so you will help the development of the project. I invite to cooperation: designers for creation of new themes, translators for translation of texts, and large companies for partnership of development of the project. 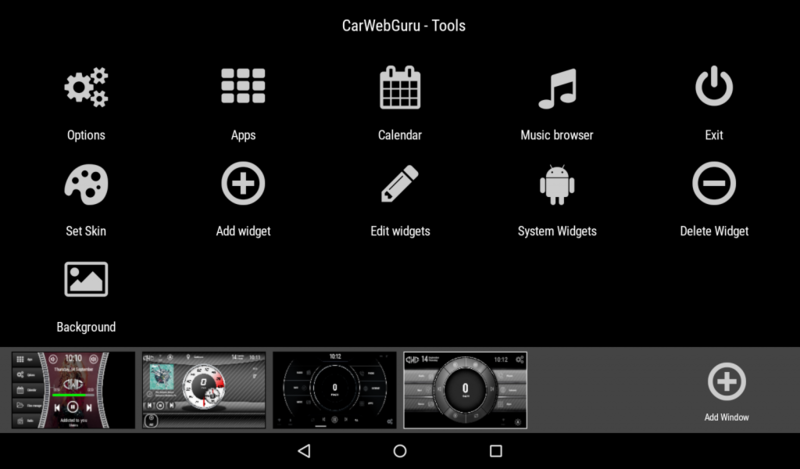 This is official web site for CarWebGuru project. Use hashtag #carwebguru in your photos and posts!